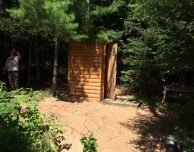 When the Outhouse is Full – What’s Next? 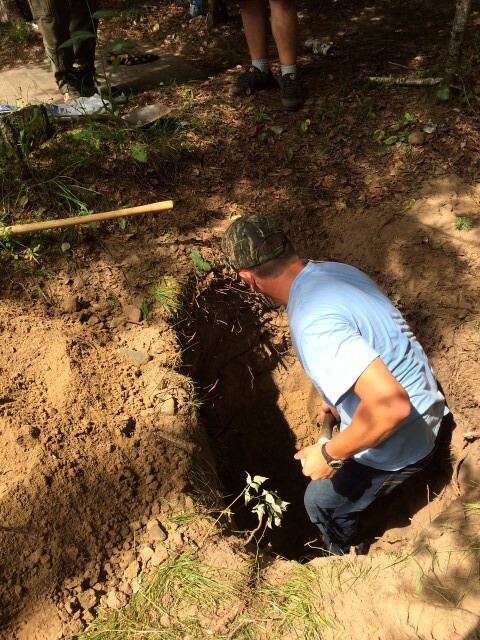 It’s great to be out in the wilderness, but things aren’t always glamorous here at Nestor Falls Fly-In Outposts. 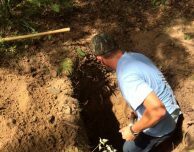 Each of our outposts has an outhouse out back – and when the “shitter’s full,” me and Dave don’t have many volunteers to tackle that dirty job! 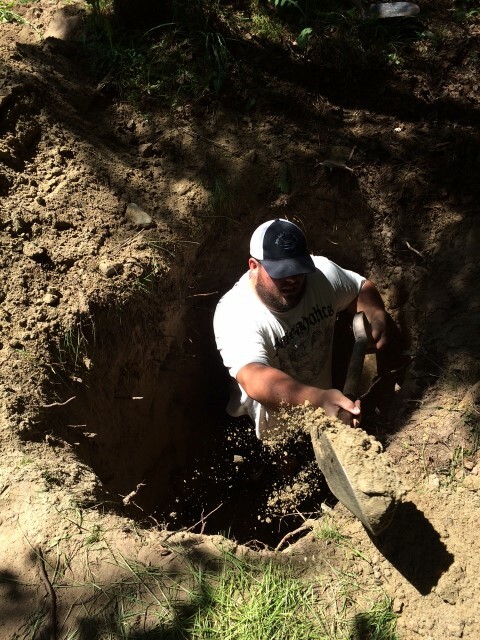 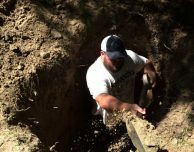 To keep outhouses fresh for our guests, a couple of the good guys – Will, Jon, Pat, and James – dug out a fresh hole for the outhouse at Kay Lake. (It was a real hot day, so Dave and I owe ’em a Molson or two.) 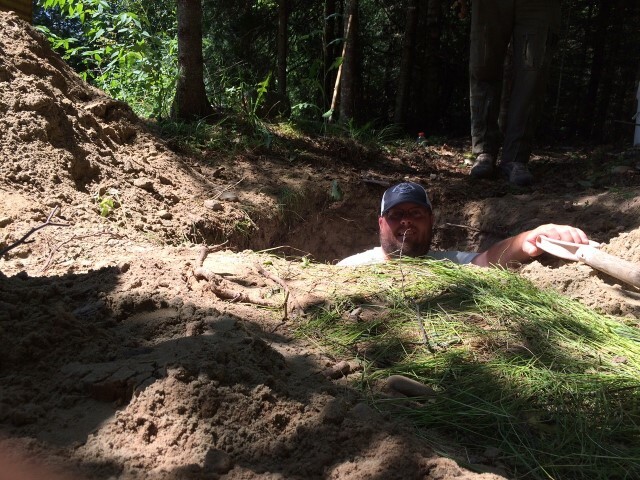 Jon even stood in the 5 ft. deep hole to make sure it was deep enough. 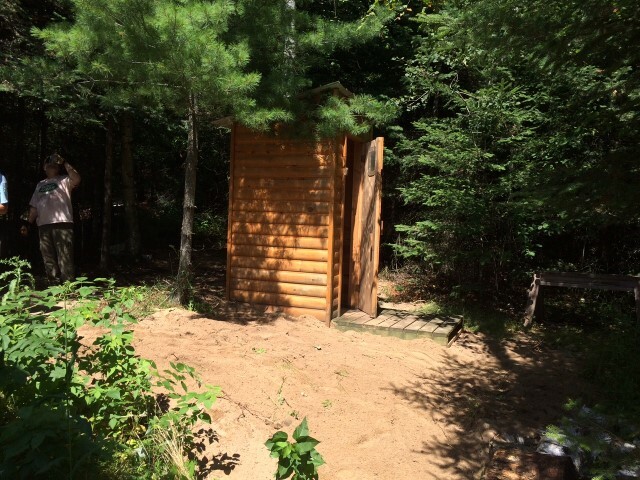 It’s a good-looking outhouse, but maybe we’ll build a couple “skys-crappers” – Who knows?